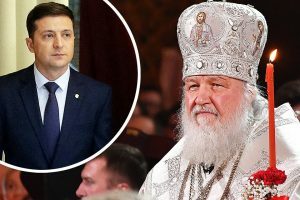 Filaret (Denisenko), the “honorary patriarch” gave his first interview to the Ukrainian site “Glavcom“. It is also the first time he spoke about the events that occurred the day before the “Unification Council” in Kyiv, and explained why he was not invited to Constantinople for the granting of the tomos. – Your Holiness, what did you feel when Ukraine received the tomos? – Naturally, we are pleased the Ukrainian Orthodox Church finally received the tomos of autocephaly from the Ecumenical Patriarch Bartholomew. We spoke to him more than once about it. We asked him, on the grounds that the Polish Church had received autocephaly in 1924, when it was part of the Kyiv metropolis. Then, the ecumenical patriarch based [our autocephaly] on the fact that in 1686, the Kyiv metropolis had been illegally reunited to the Moscow Patriarchate. This means that Poland is the canonical territory of the Patriarchate of Constantinople. We proceeded in the same way. But for 25 years, they [the patriarchate] were not making the decision to grant us the tomos. When the Lord created other conditions, the ecumenical patriarch also granted us autocephaly despite the fact that Moscow was categorically opposed to it. Although I said from the beginning that we were part of his patriarchate. This is precisely why the council held in Kyiv on December 15 was not the Council of the Orthodox Church of Ukraine, but that of the Kyiv Metropolis, as part of the Constantinople Patriarchate. It was not the representative of the Church of Ukraine who presided at this council, but the representative of the Constantinople Patriarchate. 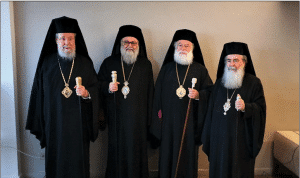 The hierarchs of the Constantinople Patriarchate were present at the council, and had the right to vote. It was only after this council that the Ecumenical Patriarch granted the tomos of autocephaly. This means that since January 6, when this happened, we have already been a legitimate Church, that is to say, an autocephalous canonical Church. – Were you invited to Istanbul for the celebration of the granting of the tomos? – I did not receive an invitation. They did not invite me, because they [the Constantinople Patriarchate] do not want to recognize the Ukrainian Orthodox Church with the status of patriarchate. For now, they only recognize it with the status of metropolis. Now, I am a patriarch, and if I had been present at this ceremony as a patriarch, it would have meant that the ecumenical patriarch recognized the Ukrainian Orthodox Church with the status of patriarchate. He [the ecumenical patriarch] does not exclude that the Ukrainian Church may have the status of patriarchate. When and what are the conditions to get there? If all Ukrainian Orthodoxy meets in one Church, it will be the foundation for granting the Ukrainian Orthodox Church the status of patriarchate. And we are a patriarchate, but only in Ukraine, that is, an unrecognized patriarchate. And we are recognized as the Kyiv metropolis. So our goal and task is to pursue the reunification [with the new church] of the parishes and clergy of the Moscow Patriarchate. When we are all united, we will turn to the Ecumenical Patriarch to ask him to grant us the patriarchate status. – What was the biggest complication when preparing the unification council? Only two hierarchs of the Moscow Patriarchate Church attended. How many of them were you expecting? – 12 hierarchs of the Moscow Patriarchate addressed the ecumenical patriarch to ask him to grant the tomos. It is true that only two of them came to the council, which is why the Kyiv Patriarchate was the foundation of this council. In my opinion, if these two hierarchs had not come, the council would nevertheless have happened and the results would have been the same. But if the Kyiv Patriarchate had been divided, there would have been no council, and no tomos. That is why the foundation of the council was the Kyiv Patriarchate and the autocephalous Orthodox Church of Ukraine. 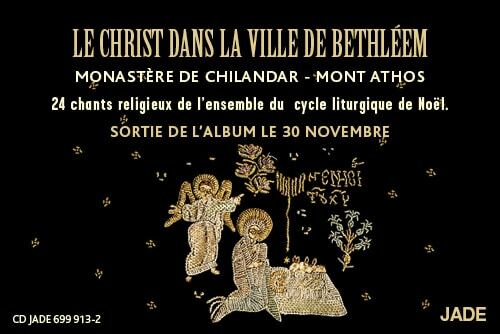 The latter had 1,000 recorded parishes and 15 hierarchs. But from the Moscow Patriarchate, there were only 2 hierarchs and about 30 parishes. Admittedly, the participation of the Moscow Patriarchate in this council was minimal, but the reunification of the three Churches did take place formally. – You say that if the Kyiv Patriarchate had been divided, there would have been no council. Given the conflict between you and Metropolitan Mikhail [Zinkevich, another candidate, TN] before the council, wasn’t the schism real? 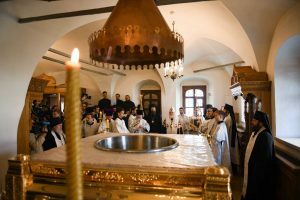 – There was no schism in the Kyiv Patriarchate. That is to say that even if Metropolitan Mikhail had not withdrawn his candidacy [for the position of primate], the Kyiv Patriarchate would still have existed. But there would have been no council. – Metropolitan Mikhail had to withdraw his candidacy. Was that your condition? – No, it was the Constantinople Patriarchate’s condition, when he [Patriarch Bartholomew] saw that the Kyiv Patriarchate was divided over the possible candidates for the primate position. There was no question of schism in the Kyiv Patriarchate. It was all about the choice of one candidate or the other. The ecumenical patriarch’s condition was that I renounce my candidacy as a patriarch. Because I am a patriarch. And the ecumenical patriarch agreed to give the tomos to the Ukrainian Church as a metropolis. I renounced [my candidacy], and this pleased the ecumenical patriarch. At the same time, he said the candidate we were recommending would become the primate. I recommended Metropolitan Epifaniy. The Kyiv Patriarchate Council of Bishops supported him, and then Mikhail announced his candidacy. 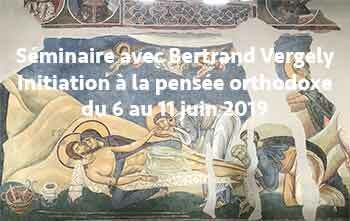 Seeing the situation, Metropolitan Emmanuel, the Ecumenical Patriarch’s representative, consulted with the Patriarch and decided to leave the meeting and not to proceed to any council. But I had the right to support Metropolitan Epifaniy’s candidacy. – But what prevented you from determining a worthy candidate by a normal vote? Would it not have been a honest way of proceeding? – If the ecumenical patriarch had not imposed the condition that I had to renounce my candidacy as a patriarch, I would have become the primate. I would have obtained the majority of the votes. Do you understand where the problem is? Because if I had not renounced my candidacy and had been elected, I would have become the primate with the rank of patriarch. And then the Ukrainian Church would not have the status of a metropolis, but of a patriarchate. – Yes, I insisted that Metropolitan Mikhail remove his candidacy, because I wanted the primate to be Metropolitan Epifaniy. Patriarch Bartholomew gave me the right to renounce my candidacy, but also to support the candidate whom I thought was the best. – Just before his election as the primate, Metropolitan Epifaniy was almost called your “right hand man”. The primate of the new Church is a young man. Is this a good or a bad thing for the Church? – I became an exarch at 37. Youth is not an obstacle to lead the Church. A young man can also do it. When I became a young exarch, I did it in such a way that the Ukrainian Exarchate of the Moscow Patriarchate had 60% of the parishes of the entire Moscow Patriarchate. Under my leadership, church closures stopped. In the time of my predecessor Metropolitan Joasaph, hundreds of churches were getting closed. What is important is not your age, but your abilities. And experience is acquired over time. And if we consider Metropolitan Epifaniy’s case, he is young and inexperienced. So he must acquire experience, listen, not make any mistakes, and have a specific goal. What should his goal be? What is useful to the Ukrainian Church. Not to Moscow or Constantinople, but to the Ukrainian Church. And what is useful to the Ukrainian Church? The reunification in one single Ukrainian Orthodox Church. This is his goal! If he walks this path, he will have the support of the people and of the Church. But if he wants to please either center [Moscow or Constantinople, TN], he will not have the support of the people. – How can you characterize the young primate. What type of person is he? – I have my own idea about it, but I don’t want to talk about it. – Early February, the first session of the Synod was held. The overwhelming majority of its members consists in representatives of the former Kyiv Patriarchate Church. This doesn’t please everyone. 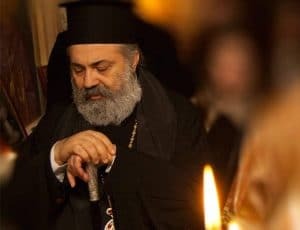 In an interview with Glavkom, Bishop Makariy [Maletych] complained that there had supposedly been an agreement for a certain percentage of representatives from each of the three former churches, which you did not respect. So what did you really agree on? – We agreed with the Ecumenical Patriarch that Patriarch Filaret, Metropolitan Makariy, and Metropolitan Simeon had to be permanent members of the Synod. And the other hierarchs, as demanded by the Greek side, must each be in turn members of the Holy Synod. Metropolitan Epifaniy chose the provisional composition of the Synod for a year, or a year and a half. And after that, other members will take turn, from all the episcopate of the Ukrainian Orthodox Church. This is the order that the Greeks offered us. This does not mean that we are happy with that. Personally, I’m not satisfied with it. Therefore at the next local council, we will have to adopt the statutes of the Ukrainian Orthodox Church. The Kyiv metropolis is not in the structure of the Patriarchate of Constantinople to use these statutes, these Greek statutes. As an autocephalous Church, we must have our own Ukrainian statutes, which must be confirmed at the local Council. For this reason, we are waiting for the convening of the Council of the Ukrainian Orthodox Church, where we will have to adopt the statutes of our Church. – How will they differ from the “Greek” edition which is now used by the Ukrainian Orthodox Church? – The main thing is to change the number of permanent members of the Synod. We don’t need just three, as now, but more, about twelve. For the others, there remains the possibility of being in turn temporary members of the Synod. The permanent members of the Synod must be authoritative hierarchs from the center, west, east, south, and north of Ukraine. So that all of Ukraine can be represented at the Synod through permanent members, that is to say, as it has been the case up to now in the Kyiv Patriarchate. It used to be so in the Ukrainian Church, that was the order and the tradition, these are not novelties for us. – According to the provisions of the statutes and the conditions of the tomos, the primate of the Ukrainian Church may determine who can be a candidate at the Synod, according to the principle of the seniority of episcopal enthronements. 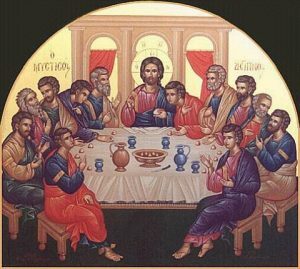 But in the first composition of the Synod, many hierarchs are absent, even though they were ordained before those who were elected. For instance, Bishop Mikhail, whom we mentioned earlier, complained in an interview with Glavkom that according to the date of his ordination, he should have been the one elected at the Synod. So according to what principle is the Synod formed? – As I already said earlier, the tradition established in the Ukrainian Church, it is actually the same thing at the Moscow Patriarchate, is that the members of the Synod represent the regions. This is the first point. The second is authoritative hierarchs. He may be old by ordination, but actually unable to administer. We have such hierarchs, and not just one. They have been ministering for a long time, but have no special ability. Such people cannot lead the whole Church. And this principle of seniority is not right. The Church has never followed this principle. She would install young primates, but the old primates would remain in their dioceses and not move from them. – Did you advise the primate to appoint someone to the Synod? – Not so far, they are all his candidates. – The statutes don’t specify how the present composition of the Synod should function. How long do you have to wait for the rotation, according to which principle should it take place? – The order must be the following: first convene the local council and adopt the statutes of the Ukrainian Orthodox Church. All this order must be recorded in these statutes. And then, on the foundation of the statutes, elect the Synod. But I stress it again, all the regions of Ukraine must be represented in the Synod, both among its permanent and its temporary members. – This means that other bishops like Bishop Mikhail, already mentioned, or Bishop Klement of Crimea, who according to the current statutes, according to the seniority of their episcopal enthronement, should be members of the second composition of the Synod, could actually be excluded from it and not be part of it in their turn? – They cannot get there, they can die (smile)… These recent years, such situations have occurred more than once. And for us, it’s not something new or unusual. We have been experiencing this for over 25 years. – How does the Ecumenical Patriarchate see the fact that Ukraine wants to change the statutes set by Constantinople? – This is what they told us: for now, adopt the statutes we are giving you. Then, when you receive the tomos, you will be an autocephalous Church and you can adopt the statutes which are necessary for you. – So there is no limitation, no conflict? – There isn’t. We are acting legally, not against the Ecumenical Patriarchate. We are grateful to the Ecumenical Patriarch for what he has done. But if we are an autocephalous Church, we must act in the interest of our Church, our country, and our nation. – If you don’t mind, let’s go back to the day the tomos was given to the Ukrainian Church in Istanbul. Many famous people were present at this solemn event. Among them was Viktor Yushchenko. 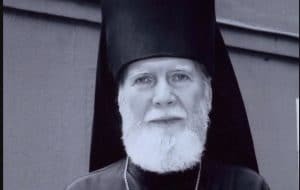 What is his role in the granting of autocephaly to the Ukrainian Church? – His role was major. When he was the president, he actively helped the Church to receive the tomos. He met with the ecumenical patriarch and sent his representatives there. 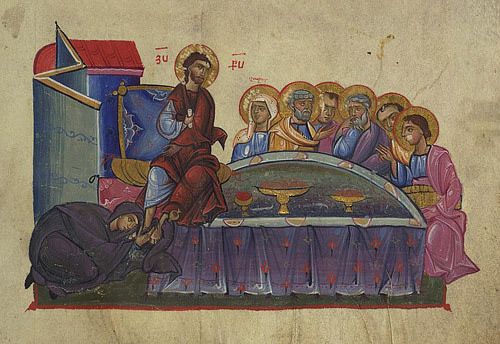 They had arrived to the point where the Ecumenical Patriarch had agreed to receive the Ukrainian Church in the bosom of the Constantinople Patriarchate. That is to say, we would not have been an autocephalous Church, but we would have been part of the Constantinople Patriarchate. But we did not agree with that. I remember gathering together all the hierarchs in this room. We invited Viktor Yushchenko and told him we were not satisfied with the status of a recognized Church within the Constantinople Patriarchate. And that was the end of it. He did a lot. But Petro Poroshenko did what we wanted. We wanted to become an autocephalous Church. And the Ecumenical Patriarch agreed with Poroshenko and us, the hierarchs. And some say the State got involved. The State did not interfere, they helped. It was us who asked for help, us all the hierarchs of the Kyiv Patriarchate, of the autocephalous Church plus 12 hierarchs of the Moscow Patriarchate. It was the church who made the call, and we asked for the president’s help. And why did the president help, when the Church is separated from the State? Because without an independent Church, there can be no independent State. Because by taking care of the State and its independence, he helped the Church become independent. And if there had not been any division at the Council of Kharkov in 1992, if the Church had been one, there would have been no war. Putin had no support in Ukraine from the Church or the society. Without support, he would not have decided to attack. But he has the support of the Moscow Patriarchate. This is what Yushchenko understood, and Poroshenko even more so. – The businessman Alexander Petrovsky was also present in Istanbul. On the pictures, we can see him with Andriy Parubiy, the parliament spokesman, and Metropolitan Epifaniy. In what way is this man actually important for the Ukrainian Orthodox Church? – He is important as every patron is. His role is to be a patron, but patrons do not run the church. If they want to lead the Church, we separate from them. – Were there such patrons? – There were some at the Moscow Patriarchate. In my time, no patrons attempted to lead our church. – Alexander Petrovsky has a controversial reputation. He is said to have a criminal past. Can this negatively impact the authority of the new church? – If the Church follows his will, it will affect her authority. But if the Church ignores his desires and will, if they are not useful to the Church, they will not influence her. There are many patrons in Ukraine. They are useful to the Church, but some want to lead her. – So Mr. Petrovsky is useful to the Church? – So far, I have not seen him being harmful to the Church. As for his reputation, that’s his business. And he has not been harmful to the Church, because we did not let it happen. 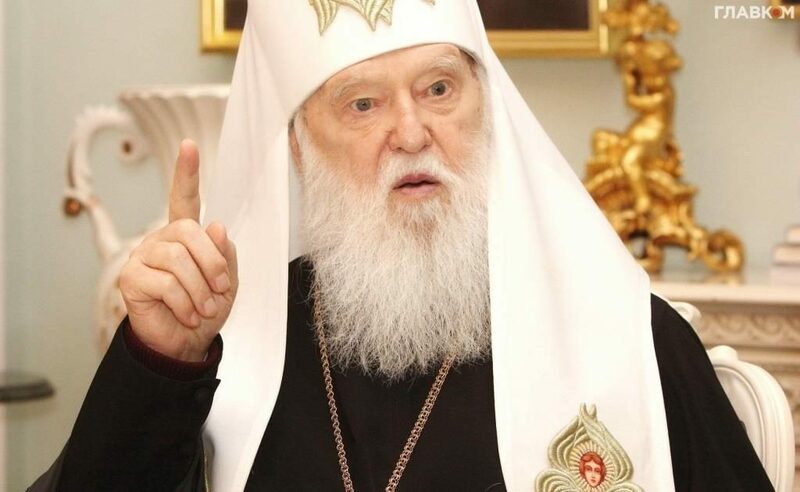 – In one of his last interviews, Metropolitan Epifaniy mentioned that more than 400 parishes had passed from the Moscow Patriarchate to the autocephalous Church. But out of a total of 12,000. What result were you expecting? – We expect the overwhelming majority, more than 2/3, must pass from the Church of the Moscow Patriarchate to the [new] Orthodox Church of Ukraine. And it will have to happen. Whether in three years, five years, or twenty-five years, this must absolutely happen. Simply because there is one Ukrainian State. And it cannot exist if there isn’t a united Orthodox Church. And whoever the Ukrainian president is, his duty will be to preserve the independence of the State. This does not mean that in Ukraine, there is only the Orthodox Church. There are Greek Catholics, Roman Catholics, Protestants, Jews, and Muslims. But the most important religion in Ukraine is the Orthodox Church. That is why her mission is not easy. Of course, the Greek Catholic Church plays a large role, as 9% of the Ukrainian population belongs to it. – The goal of the Ukrainian Church is reunification. But how to reach it if the representatives of the Moscow Patriarchate do not want any contact? How do you see this unification? What could be discussed with the Church of the Moscow Patriarchate? – The fact is that today they do not agree, but tomorrow they will. In 1992, nobody believed that Ukraine would receive the tomos of autocephaly. In the same way, I am 100% sure that reunification will take place. But when, I do not know. The hierarchs, clergy, and parishioners will join the Ukrainian Orthodox Church. They will come to it, because they live in the Ukrainian State. – What can be the catalyst for reunification? – The catalyst is that the Russian Church in Ukraine cannot be called Ukrainian, according to the law passed by the Parliament. This is the first point and it helps. The second point is the law of choice of the center by each religious community. Until now, there was no such process, but it now exists thanks to parliament. This also allows reunification. – The Church of the Moscow Patriarchate accuses the State of interference. It seems letters are sent by the regional administration to the chiefs of the district administrations, obliging them to organize parish assemblies, so that the communities may conform to the law and change their name according to the center of their religious organization. Are such facts known to you? – The State is helping, it’s a fact. In the same way that the president helped to get the tomos. But the State is helping in the same way the president did, from his government positions, defending himself. Should the president defend the State? All say he must. And how so? The way he does it. Should the authorities contribute to the unity of Ukrainian society on the spot or not? Or should they divide society? – But the State and the Church are separated. Where is the limit between interference and cooperation? – Yes, they are separated. The Church does not meddle in politics, and the State does not interfere with the internal life of the Church. I remember the time when it did interfere, I know how the Soviet power was acting, and how the present power is acting now. Its attitude was diametrically opposed to the Church. If there was a total dependence of the Church on the State in the Soviet era, now we have complete freedom. But we must not forget that the Church is the people, and the people is the State. So the Church influences the State, but morally, and she does not interfere with its internal affairs. – Of course, the State is on the side of the Church that supports it. 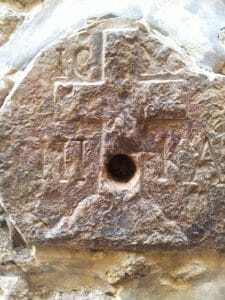 It is not only on the side of the Orthodox Church, but also of the Greek Catholic Church, the Roman Catholic Church, the Muslims and the Jews. The Church is on the side of all those who support the State and against those who act against the State. – So you consider it legitimate for the State to oblige officials to influence the parishes by such letters? – I do not see anything wrong with that. 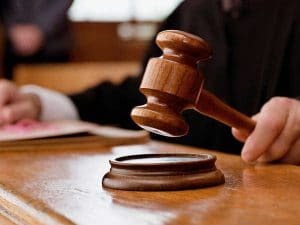 It is a call to observe the law. – Since last January, when the Ukrainian Church received the autocephaly, no local church has yet recognized the Orthodox Church of Ukraine. Why are they so late doing so? – This is due to the fact that Moscow influences all the Churches, so that they would not recognize the ecumenical patriarch’s decision to grant the autocephalous tomos to the Ukrainian Church. 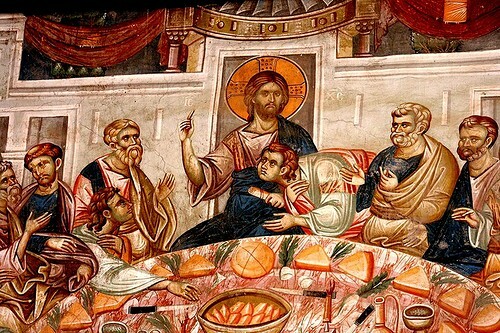 For example, the Church of Antioch has categorically stated that it does not support the ecumenical patriarch’s tomos. Because Syria depends on Russia. This Church is entirely financed by the Russian Church. Will she listen to the Russian Church? She will. She is doing it. Like the others. Moscow influences them one way or another. – Does Moscow really influence the majority of them? – It influences those who have already made statements similar to that of the Church of Antioch. But that does not and should not worry us. Because our duty is to unite Ukrainian Orthodoxy into one Church. When we get there, whether they want it or not, they will be forced to recognize our Church. Because she will be the second one after the Russian Church. And larger than the other Orthodox Churches.